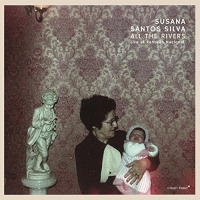 Many fans of contemporary creative jazz and improvised music have in recent years become aware of Susana Santos Silva. 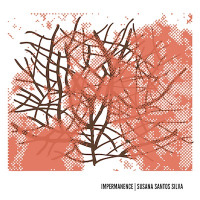 Despite her relative youth (37), this extraordinary Portuguese trumpet player possesses a remarkably self-assured and distinctive voice on her instrument, and she excels in straddling the lines between composition and free improvisation. 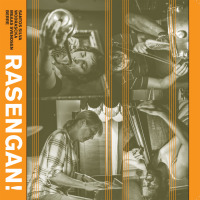 For this release, she's assembled a star-studded ensemble, called "Life and Other Transient Storms," for two long, unstructured improvisations, and the result is a first-rate, eminently enjoyable collaboration. 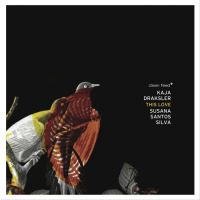 Aside from drummer John Fält, who was an unfamiliar name at least to this reviewer, the rest of Silva's associates here have long and impressive resumes: saxophonist Lotte Anker, bassist Torbjorn Zetterberg, and pianist Sten Sandell have all recorded widely with many free jazz luminaries. 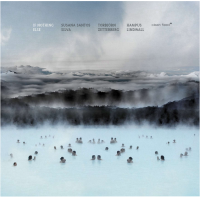 Prior to forming this group in 2015, however, Silva had worked steadily only with Zetterberg, so this is a project still in its early stages, and one hopes they'll have many additional opportunities to explore and develop their collective sound. The first of the two pieces, "Life," runs for just over 30 minutes, and it's filled with disciplined, focused playing from all five musicians. After some tremulous introductory statements by Sandell, Anker and Silva, the track settles in with Zetterberg and Fält establishing the outlines of a pulse, which begins to provide the momentum needed to really get the track moving. Anker and Silva complement each other well: both have a lyrical quality to their playing, and while they can be fiery and forceful when needed, for this improvisation they are typically more content to tease out subtler musical fragments in conversation with their colleagues. Silva has a pure, crystalline tone on her long notes, and while she offers some smears and growls from time to time, it's really the beauty of her contributions that tend to stand out. Her subtle back-and-forth with Anker during the moody middle section of the track is especially compelling. In addition to his nimble pizzicato work, Zetterberg shows himself to be quite adept at arco playing, particularly in that section, where his sinuous technique offers the perfect support for the horns. Sandell's contributions range from punchy and turbulent to pensive and delicate, both in the upper and lower registers; his thunderous rumblings in the deep end of the piano provide much of the power that drives the music during its most intense and hair-raising moments. With a nice balance of emotional crests as well as quieter, more contemplative explorations, the track offers plenty to sustain interest, and it never wears out its welcome. The second track, "Other Transient Storms," begins with an expressive, unaccompanied Silva solo, where her impressive clarity really comes to the fore, before Zetterberg and Fält join in. What stands out on this track is the group's rhythmic dynamics, as Zetterberg and Fält (along with Sandell) take on a more overt role in defining the music's trajectory and sustaining its pulse. The mutuality that characterizes the group is also abundantly evident, as Silva and Anker build throughout on the rhythmic figures developed by Sandell, Fält and Zetterberg. And there's even a bit of whimsy involved, as we get a brief, rollicking interlude that sounds almost playfully circus-like about two-thirds of the way through this 19-minute improvisation. Like "Life," this track also has its moments of fire and intensity, but these musicians are just as excellent when exploring less extravagant ideas. A highly recommended release, and hopefully the beginning of a long recorded legacy for this fine improvisational ensemble. 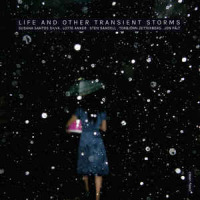 Track Listing: Life; Other Transient Storms. 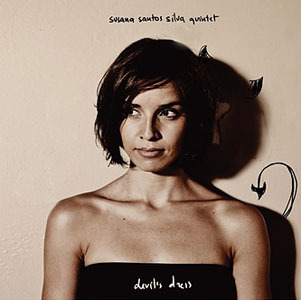 Personnel: Susana Santos Silva: trumpet and flugelhorn; Lotte Anker: soprano and tenor saxophone; Sten Sandell: piano; Torbjörn Zetterberg: bass; John Fält, drums.